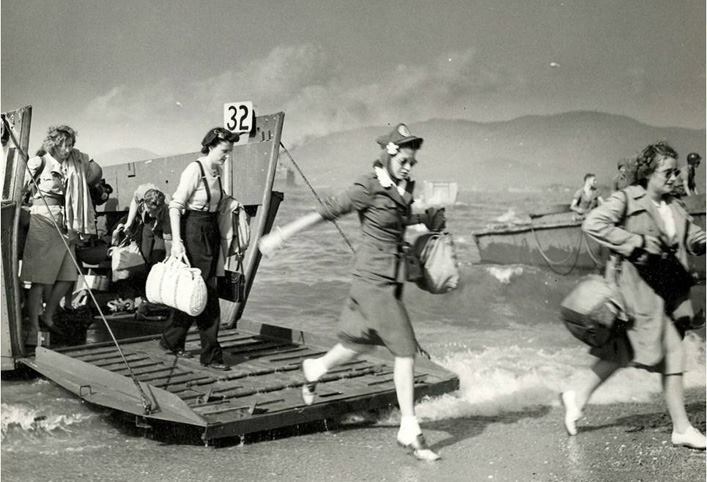 Brave women of the Red Cross arriving in 1944 to help the injured troops. This entry was posted in Women & Wisdom and tagged 1944, brave women, ladies & war, ladies in war, Normandy Beach, Normandy landing, Red Cross volunteers. Bookmark the permalink. I happened to see this picture for the first time a few days ago when a friend posted it to Facebook. To say I was amazed is to put it mildly because two of the women are related to me. The woman in front was my Aunt Ida Ross (nee Mills) while the woman second from the left was my mother, A. Clemontine Lazar (nee Mills). Both are now deceased and I never knew of this picture while they were living.